I've been waiting to hear back about some possibly life-changing news, and if I think about it too much I'm just going to freak myself out. I am trying to stay centered & balanced. I walked to work today and listened to a book on my iPod. I am going to yoga tonight. I need to breathe. 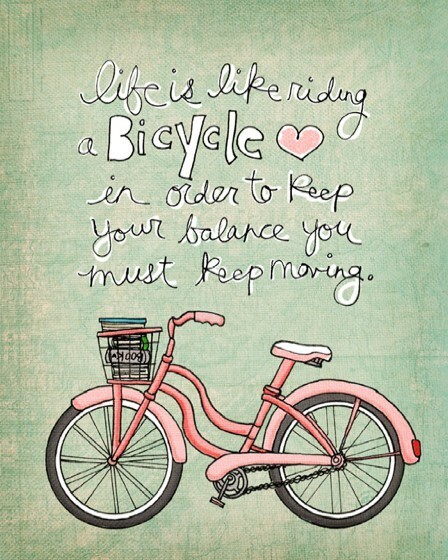 I need to keep moving. I know that if this news isn't what I hope it will be, that I will still be okay. Life will take me down another road, and surprise me all over again (as it always does). Although I'm on shaky ground now, it will be stable again. I have faith in that. I will hopefully be able to be less vague by tomorrow, but I'll let you know! :) In the meantime I'm going to keep myself busy!